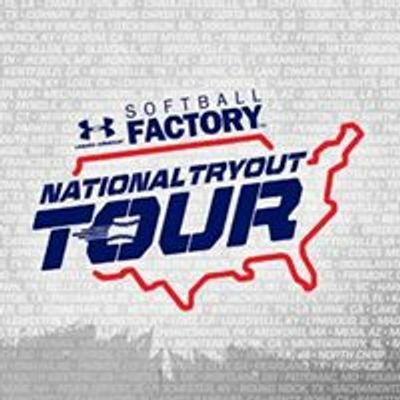 Come be discovered, evaluated and recruited at Softball Factory's Under Armour National Tryout in Ashburn, VA where you will receive world-class instruction, and a once-in-a-lifetime opportunity that takes place in a positive, low-pressure environment with our team of instructors and experts. Players ages 12-18 are invited to tryout. If you're interested in registering for this one-day event that provides a one-of-a-kind service, please follow this link: https://register.softballfactory.com/tryouts/ or by calling 855-822-5115. We hope to see you out on the field to enjoy a day of softball, instruction and life-experiences!